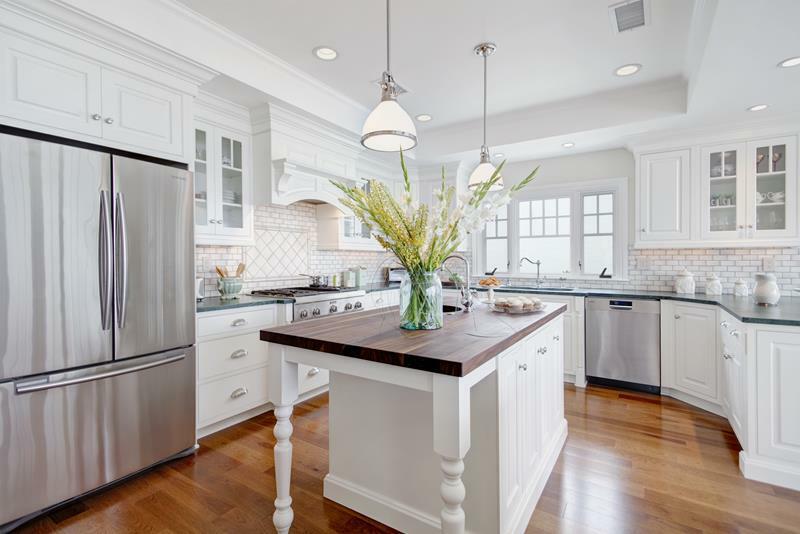 In designing a new home or renovating an old one, there’s no room that people get more excited about than the kitchen. Think of all the cabinets! Think of choosing the island and what appliances (if any) will be located on it. Oh, and think about choosing the flooring… And the appliances! There’s just so much. And, when you have a kitchen with a design you love… Well, they don’t call them dream kitchens for nothing! So, if you want to see what’s possible in terms of kitchen design, and if you need some inspiration for your own kitchen-related project, the take a look! We’re sure that you’ll be impressed, if not a little jealous. Seriously. 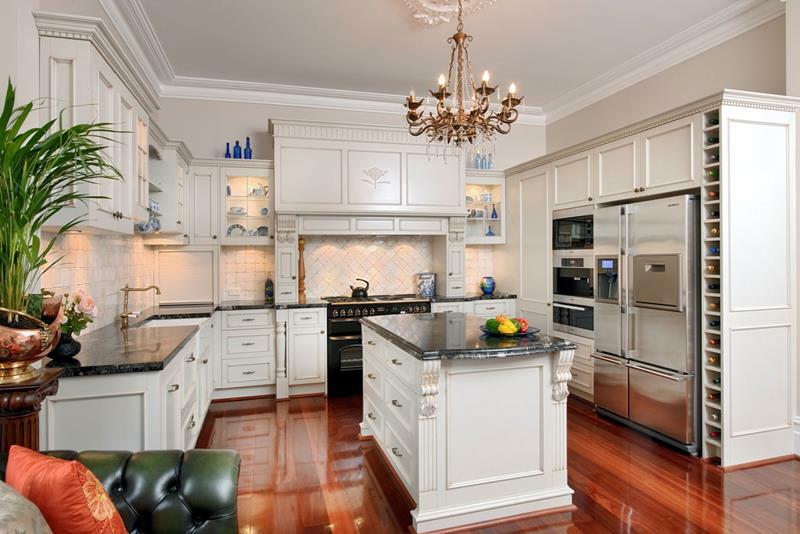 These kitchens are that beautiful. The beautiful look of this kitchen is completed by pairing the island countertop with the range backsplash. Love that marble! 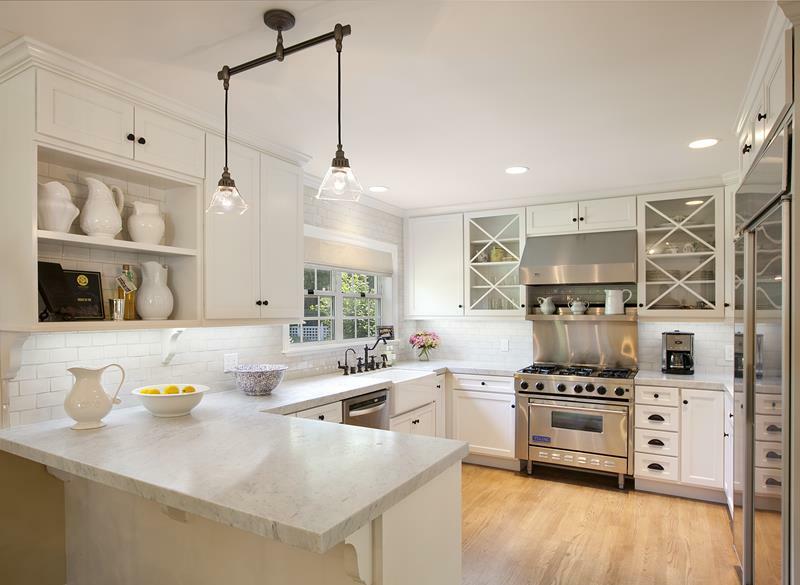 The design of this kitchen combines contemporary elements with classic Craftsman styling to tremendous effect. The light hardwood floors used in this kitchen add a subtle level of contrast to the white cabinets with white countertops. 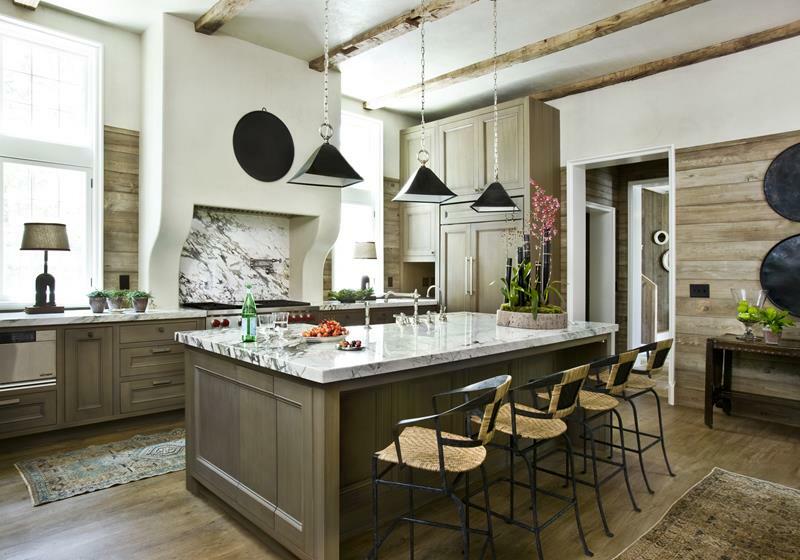 While the primary countertops in this kitchen are a dark green, the center island uses a beautiful slab of dark wood.